Dentist Edmond: Why get your child in to see the dentist? Making sure that your child comes in to see the dentist for regular check ups means that their mouth will be healthier and stay healthy throughout their lives. Early check ups in children help catch cavities and tooth decay from things like sugar and bottle rot. Taking your child to the Dentist Edmond early and regularly will ensure your child is more comfortable with going the dentist as they grow up. 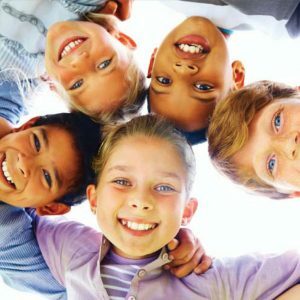 Children who look after their teeth and come to the dentist will have healthy teeth and be able to chew food easier and will learn to speak clearly and smile with confidence, that’s what Dentist Edmond is all about. What does the American Dental Associate have to say? The American Dental Association recommends that every child visit the dentist by the age of 1, or as soon as the first tooth appears. This early visit in your child’s life will help you as a parent or caregiver how to care for children’s teeth and will help them remain without cavities in the future. As an example, letting children fall asleep with a bottle of juice or milk in their mouth can cause decay. Children should be encouraged to drink milk, water, and juice from a cup as they approach their first birthday. Dentist will also recommend that a mother stop on-demand night time breast feeding once a child’s first tooth has come in. In the United States the most common disease among children is tooth decay, which can be prevented. The Center for Disease Control and Prevention has reported more than 40% of children will have some kind of tooth decay when they reach kindergarten. With states like Washington seeing nearly 60% of this preventable condition in elementary school aged children. Many of these cases are a lack of proper brushing, dental visits, and not using fluoride toothpaste.